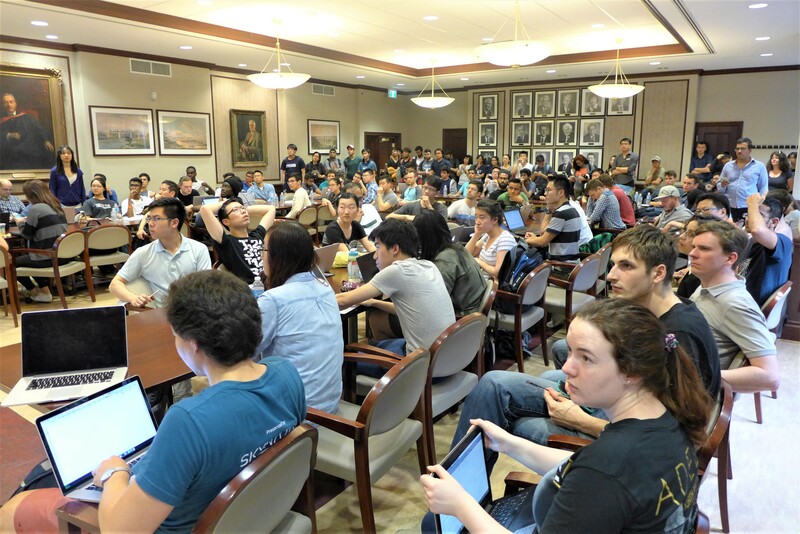 On June 23-24, the first Global Artificial Intelligence Hackathon took place in Toronto at University of Toronto, alongside 14 other cities in the world. Close to 200 contestants, forming 20+ teams, set out to compete on three grand challenges: Microsoft’s future of work global challenge, fake news detection global challenge, and a local emotion detection challenge. In the end, team “The Tiny Samosas” successfully took home the prize for the local challenge, winning $400 dollars team dinner and tickets to NEXT AI demo day. “The Tiny Samosas” made a product that tackles a problem in game design – how can product manager cater to the players’ desired difficulty level? The answer is: monitor the user’s facial expression through emotion detection program. The winning team trained a neural net to detect 7 different emotions from images of facial expressions, using dataset from Kaggle, implemented on Keras with TensorFlow backend. They modified a simple game to adjust difficulty based on the user’s current facial expression. On site demo was very well-received and crowd had a great laugh support. “The Global AI Hackathon brings together experts and hobbyist interested in the important opportunities and challenges in artificial intelligence.” said Joe Mazzei, Senior Advisor, from Technology Sector at City of Toronto. The event benefited greatly from the city’s support at the opening ceremony at City Hall on Wednesday, June 21, alongside Mr. Mazzei, MPP Han Dong, the CEO of Idea Couture Idris Mootee showed up on site and announced the beginning of the event. Toronto is the best Canadian AI hub. In the last decade, University of Toronto fostered groundbreaking research in the field. In order to further accelerate the fruitfulness of research, the Vector Institute was founded with $150 million in public and corporate financing.